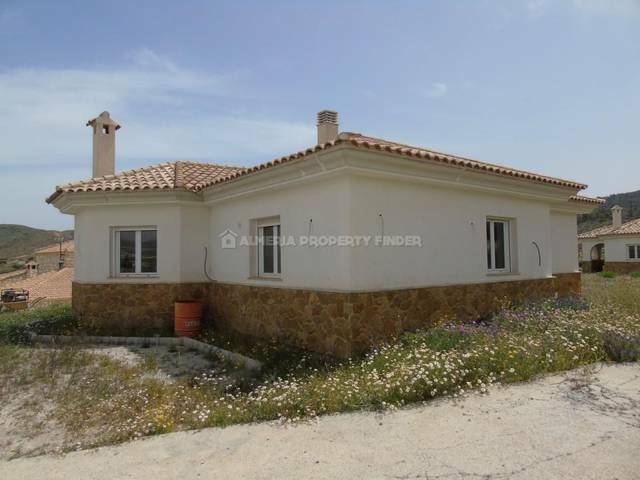 The villa is located in Arboleas in the popular Los Carrascos district. The villa is a 5-minute drive from the small town of Arboleas. Inside the villa there are 3 spacious bedrooms including 1 master bedroom, 2 bathrooms a spacious living room, a fitted kitchen with the necessary appliances, office space. There is also hot and cold air conditioning in the house and a water filter. Outside there is a beautiful swimming pool of 8x4m, a terrace with barbecue a patio with bar, very cozy to live with friends. The garden is maintenance-friendly, with fruit trees and planting in the garden. There is also a water tank of 1100liter. The property has all amenities such as city water, electricity, internet, television. 1 hour drive from Almeria Airport. Garrucha has an excellent selection of seafood restaurants and bars, most of which are located along the coast that serves fresh fish. The art of ‘tapeo’ (goes for tapas) is also an experience not to be missed in Garrucha. The area is known for its tasty tapas.